Feeding Scooby his favourite snacks always makes him happy! But don't try to fool him - Scooby knows the difference! It's up to you to feed him the right treat! 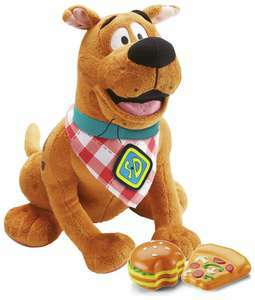 Press Scooby's ear to hear him talk! 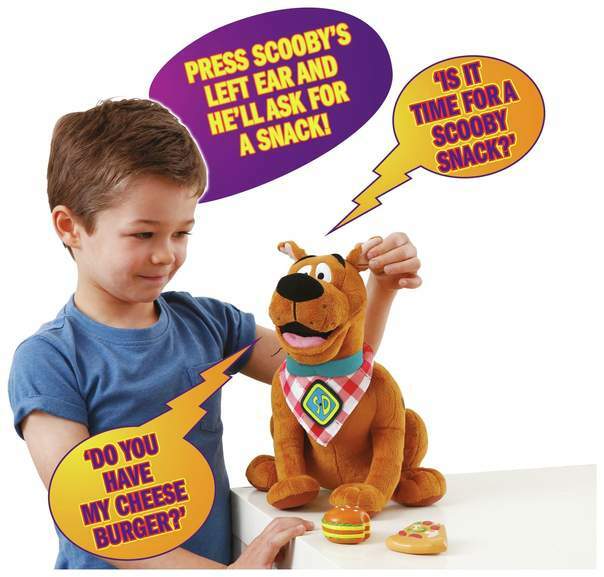 Quickly feed him a Burger or Pizza Slice to stop him having a Snack Attack! But Scooby knows his snacks so don't feed him the wrong thing! He can also guard your snacks - he'll call out if he hears someone come close! Made from super soft plush. Interactive soft toy with sound effects.